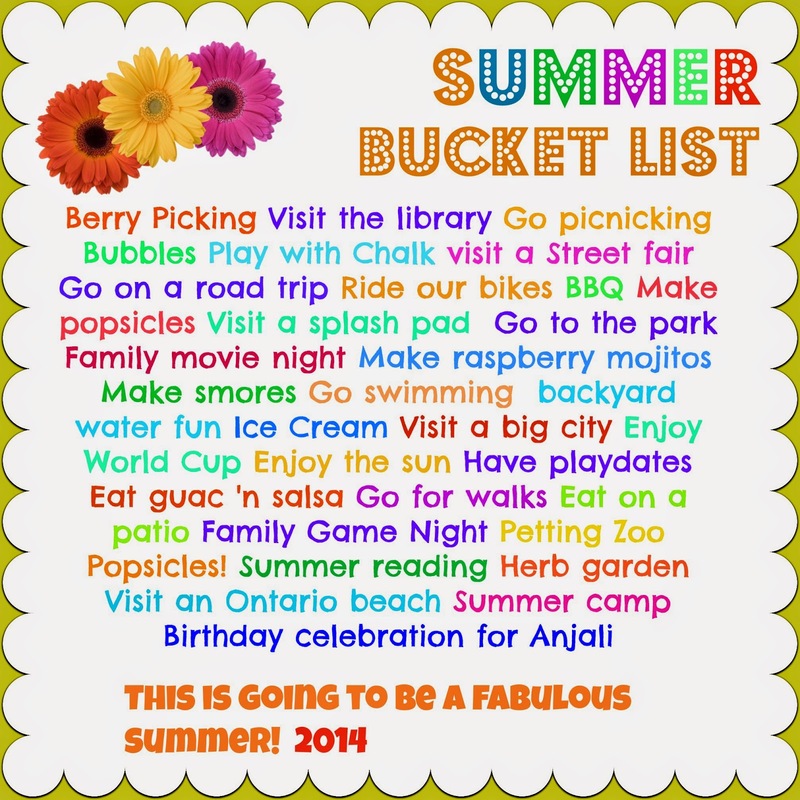 I've gone and done it... a personalized summer bucket list for our family! I've been meaning to do this for awhile and I figured June was the perfect time to do it. It is all those things that will bring us joy this summer. There is stuff for the adults and stuff for the kids.... and some stuff we've done already! And I only put in the realistic items, meaning that I kindly ignored D's request to put in 'canoe up the Grand River'. And here it is... as Anjali would say 'Ta-da!!' Happy Summer, everyone! I used Picmonkey to do this one.